BBC Cymru Wales has launched three new training and apprenticeship schemes to cast its net wider than ever before in the search for new recruits. The broadcaster is also offering wide-ranging support for those wanting to learn more about a career with the BBC and apply for a positon, with a focus on encouraging more people from under-represented backgrounds to apply. Ten Wales Digital Journalism Apprenticeships 2019 are offered at BBC Wales. This is a partnership between the BBC and Cardiff and Vale College and anyone over the age of 18 is able to apply. “The BBC wants to recruit the best and the brightest, and these schemes are designed to give people from all backgrounds an insight into what we do and support them if they decide to apply for an apprenticeship. 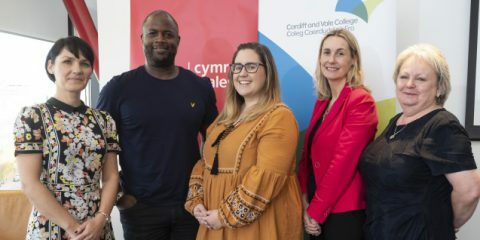 “Cardiff and Vale College has a long history of working with the BBC to provide work based learning opportunities for young people in Creative and Digital Media so this new apprenticeship is an excellent opening to develop our long-standing relationship with one of the largest employers in the country. Discovery Days are already underway across Wales, with dates in the diary for Bangor, Colwyn Bay and Deeside in the north, as well as Newport, Cardiff and Swansea. Meanwhile the application process will open in January for the first intake of the BBC Wales Digital Journalism Apprenticeships which will start in September 2019. These 10 full-time posts, which are two-year placements, will be in addition to 25 apprenticeships the BBC already offers every year. The training will be delivered by Cardiff and Vale College, in partnership with the BBC Academy.